This is an episode on Thanksgiving recorded two years ago. But it’s really ever-green. Safe travels to you and yours. It’s Thanksgiving Eve! Which means that at Historically Thinking it’s time to think about what the history of Thanksgiving is, and what it can tell us about thinking historically. Our guest today is Tracy McKenzie, professor of history at Wheaton College in Wheaton, Illinois. Prior to coming to Wheaton he taught history for twenty-two years at the University of Washington, where he was the Donald W. Logan Endowed Chair in American History. His research focuses on the American Civil War era and its effects on the economy and society of the Upper South. This has resulted in several books, including One South or Many? Plantation Belt and Upcountry in Civil War-Era Tennessee (Cambridge University Press, 1994) and Lincolnites and Rebels: A Divided Town in the American Civil War (Oxford University Press, 2006), which won the Fletcher Pratt Literary Award for best non-fiction work on the Civil War. So, what does this have to do with Thanksgiving? For one, McKenzie’s most recent work is The First Thanksgiving: What the Real Story Tells Us about Loving God and Learning from History (InterVarsity Press, 2013). 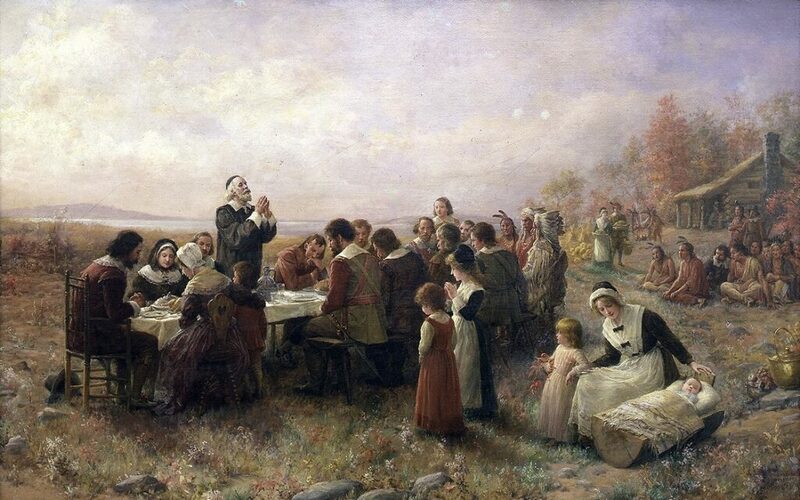 Why a Civil War-era historian should be so interested in Thanksgiving is a riddle that we will explore in our conversation. For two, the story of Thanksgiving and how it came to be celebrated in American culture is also a study of historical thinking, and McKenzie provides one of the most interesting, accessible introductions to thinking historically that I’ve ever encountered. So as you’re traveling over the river and through the woods, have a listen to our conversation. You’ll find out a lot about evidence; why historical revisionism is a really good thing; the difference between thanksgivings and Thanksgiving; and why football has from the beginning been part of the Thanksgiving celebration.